General Meetings are held in the registered office of the Bank in Bydgoszcz or in Warsaw. Ordinary General Meetings are convened by the Management Board of the Bank. Extraordinary Shareholders' Meetings may be convened if necessary by the Management Board following its own decision or as requested by shareholders representing at least 1/20 of the share capital. The General Meeting is convened and prepared in accordance with the provisions of the Code of Commercial Companies and the Bank's By-laws. Ordinary General Meetings are called by the Management Board of the Bank. The Ordinary Shareholders’ Meeting convened by the Management Board in line with the routine procedure is held once a year, within six months of the end of each financial year. The Supervisory Board may convene an Ordinary Shareholders’ Meeting if the Management Board fails to do so within the statutory deadline, or an Extraordinary Shareholders’ Meeting if it deems it necessary. Further, in specified cases, shareholders are entitled to call or request the calling of the General Meeting. The shareholders may participate in the General Meeting and vote in person or through a plenipotentiary. The General Meeting decides on its own internal rules. On 22 December 2014, Extraordinary Shareholders’ Meeting passed the "Internal Rules of General Shareholders' Meeting of Bank Pocztowy S.A." which came into force on 1 January 2015. Issues to be raised at the General Meeting are presented to the Supervisory Board for consideration and approval. Resolutions of the General Meeting, except for specific cases, are passed in open voting by an absolute majority of votes, unless the Code of Commercial Companies or the By-laws require other, more restrictive manner of voting. Secret voting takes place when appointing and dismissing members of Bank’s bodies or liquidators, deciding on their prosecution and in personnel related matters. Further, secret voting may take place if at least one shareholder present or represented at the General Meeting requests so. The By-laws do not allow voting by correspondence or using electronic means of communication. The Supervisory Board of the Bank is appointed and dismissed by the General Shareholders’ Meeting in secret voting. The manner of resolving when appointing members of the Supervisory Board is determined by the common law, including Code of Commercial Companies and the By-laws. The provisions describe the manner of appointing Supervisory Board members from among shareholders, including representation of individual shareholders in the body and principles of appointing independent members, their number and conditions they should fulfil. Grant a vote of acceptance to members of the Bank’s bodies. Approving the policy of selecting and evaluating Supervisory Board members. Appointing Members of the Supervisory Board of Bank Pocztowy S.A. for the tenth office term. Further, the General Shareholders' Meeting appointed the Chairman and Deputy Chairman of the Supervisory Board for the tenth office term. Amending terms of ordinary bond issues as accepted in Resolution No. 1 of ESM of 12 April 2011. In accordance to the Code of Commercial Companies, the Management Board and Supervisory Board manage and supervise the Bank, respectively. The Supervisory Board exercises general supervision of the Bank’s operations. The Supervisory Board consists of seven members appointed and dismissed by the General Meeting. The members are appointed for a joint office term of three years. The By-laws provide a detailed description of cases when the number of Supervisory Board Members drops below seven. In each case it happens the Management Board is obliged to promptly, within 14 days at the latest, convene the General Meeting in order to organize a by-election. The mandates of members of the Supervisory Board expire as of the date of the General Meeting approving the financial statements for the last full financial year during which the members has held their positions. If a new member is elected during the office term, his/her mandate expires along with the mandate of the other members. Further, the mandate expires in the case of death, resignation or dismissal. The ninth office term of the Supervisory Board commenced in June 2011 and ended on 14 April 2014 at the moment of approving the financial statements of the Bank for 2013. The tenth office term of the Supervisory Board commenced on 14 April 2014. On 14 April 2014, GSM evaluated qualifications of Supervisory Board Member candidates for the tenth office term in accordance to the Policy of selecting and evaluating Supervisory Board Members and appointed the Supervisory Board Members of Bank Pocztowy S.A. for the tenth office term. The General Shareholders' Meeting appointed the Chairman and Deputy Chairman of the Supervisory Board for the tenth office term. The Chairman of the Supervisory Board is appointed by Poczta Polska S.A., a shareholder, while the Deputy Chairman by PKO Bank Polski S.A., another shareholder, from among appointed members (also if the Supervisory Board is elected in separate groups). The Supervisory Board members may elect a Secretary among themselves. The By-laws provisions describe the manner of appointing Supervisory Board members from among shareholders, including representation of individual shareholders in the body and principles of appointing independent members, their number and conditions they should fulfil. 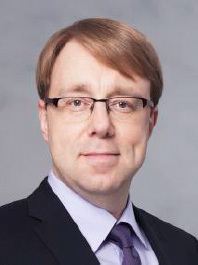 Janusz Wojtas –Member of the Supervisory Board. The Supervisory Board operates in accordance with the Rules developed by it and approved by the General Meeting. Its meetings are called in the manner determined in the Rules, at least four times in each financial year. The Supervisory Board may pass resolutions provided that at least half of its members are present at a meeting, including the Chairman or Deputy Chairman, if all its members have been invited to the meeting. The members may participate in the passing of resolutions giving their votes in writing through other members of the Supervisory Board. The Supervisory Board may pass resolutions among its meetings, in writing or using remote communication media (e-mail, fax etc.). The passing of resolutions pursuant to the above procedures does not include election of the Secretary, appointing, suspending and dismissing of Management Board members. Resolutions of the Supervisory Board are adopted with an absolute majority of votes cast. In case of a tie, the Chairman has the deciding vote if present at the meeting. The agenda and issues to be discussed during the Supervisory Board’s meetings held in 2014 were determined by the Chairman of the Supervisory Board resulted from the ongoing operations of the Bank, and included issues raised by the Management Board and Supervisory Board Members. Supervisory Board’s decisions had the form of resolutions, decisions, approvals regarding Management Board’s motions and information materials presented by the Bank. In 2014, the Supervisory Board held five meetings supervising the ongoing operations of the Bank. The Audit Committee is a body within the Supervisory Board. Its members are appointed by the Supervisory Board from among its members. Its operational rules are approved by the Supervisory Board. Recommending an entity authorized to audit financial statements to the Supervisory Board for the purpose of auditing or reviewing financial statements of the Bank. According to the Audit Committee Operating Rules approved by the Supervisory Board on 19 May 2011, amended by the Resolution of the Supervisory Board of 9 June 2014, the Audit Committee consists of at least three people, including the Chairman, appointed by the Supervisory Board from among its members. At least one Committee member should be independent and have accounting/auditing qualifications. At present, Bogusław Grabowski, the Audit Committee Chairman, meets these requirements. The Audit Committee meets at least once a quarter. Its meetings are called by the Chairman upon his own decision or following a motion of its member. Had the Chairman been unable to call a meeting for any reason, it may be called by another Committee member appointed by the Chairman. The Committee meetings may be called following a motion of another Supervisory Board Member, the Management Board, an internal or external auditor of the Bank, in particular if the Internal Audit Head escalates material disputable issues with the Management Board. The Committee may operate if at least half of its members are present. Its resolutions are adopted with an absolute majority of votes cast by the members present at the meeting. In the case of a tie, the person chairing the meeting holds the deciding vote. If necessary, the Audit Committee, following an initiative of its Chairman or another member appointed by the Chairman, may pass resolutions among the meetings in writing or using remote communication media. On 12 May 2014, the tenth-office term Supervisory Board appointed from among its members Bogusław Grabowski, Paweł Borys and Piotr Michalski members of the Audit Committee and appointed Bogusław Grabowski its Chairman. The Audit Committee provides the shareholders with reports of its activities for the previous reporting year. The reports are attached to the set of documents prepared for the General Meeting for information purposes. The Appointment Committee is a permanent committee of the Supervisory Board, supporting its activities. It is appointed for the office term of the Supervisory Board and consists of at least three people appointed by a Supervisory Board resolution, to include its Chairman appointed by the Supervisory Board from among Committee’s members. The operating rules of the Committee are approved by the Supervisory Board. Evaluating of holders of the positions of Management Board Chairman and Members. Occurrence of new circumstances described in the “Policy of selecting and evaluating Management Board members” (for current position holders). The Appointment Committee holds meetings if required due to planned changes in the composition of the Management Board, if its office term expires, or in other cases determined in the ”Policy of selecting and evaluating Management Board members”. The meetings are convened by the Chairman upon his own decision or following a motion of its member or of the Management Board of the Bank. If the Chairman cannot convene a meeting for any reason, it may be convened by another Committee member appointed by the Chairman. The Committee meetings are chaired by its Chairman, and in his absence, by a member appointed by the Chairman. The Appointment Committee meetings can be held if at least two members are present. Evaluation decisions are made with an absolute majority of votes cast by its members present at the meeting. In the event of a tied vote, the Chairman will have the deciding vote. On 12 May 2014, the tenth-office term Supervisory Board appointed from among its members Jerzy Jóźkowiak, Jakub Papierski and Janusz Wojtas members of the Appointment Committee and appointed Jerzy Jóźkowiak its Chairman. On 12 May 2014, the Supervisory Board approved Operating Rules of the Appointment Committee. In 2014 and by the date hereof, the Appointment Committee held three meetings. No other Supervisory Board committees were established. According to the Bank’s By-laws, the Management Board consists of 3 to 5 members appointed by the Supervisory Board. Composition of the Management Board: Chairman, Deputy Chairmen, including First Deputy Chairman, Members. The members are appointed for a joint three-year office term. The mandates of members of the Management Board expire as of the date of the General Meeting approving the financial statements for the last full financial year during which the members have held their positions. Further, the mandate expires in the case of death, resignation or dismissal. The mandate of a Management Board Member appointed during the term of office expires at the same time as the mandate of the remaining members. According to the Code of Commercial Companies, the General Meeting can dismiss or suspend a Management Board member. Two Management Board Members: the Chairman and Member in charge for risk management are appointed upon an approval of the Polish Financial Supervision Authority. 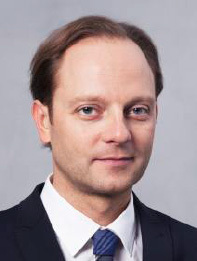 Michał Sobiech – Member of the Management Board. 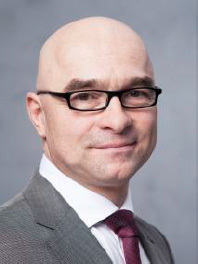 On 12 May 2014 the Supervisory Board dismissed Radosław Sałata from the Management Board effective as of 12 May 2014. 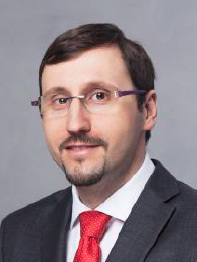 At the same time, the Supervisory Board appointed Paweł Spławski a member of the Management Board of Bank Pocztowy for the ninth office term as of 19 May 2014. Paweł Spławski – Member of the Management Board. On 16 January 2015, Tomasz Bogus resigned from the position of the Chairman of the Management Board of the Bank and from membership in the Management Board of the Bank as of 19 January 2015. On 16 January 2015, the Supervisory Board decided that Szymon Midera, Deputy Chairman of the Management Board of the Bank, would act as the Chairman of the Management Board of the Bank as of 20 January 2015. Moreover, the Supervisory Board of the Bank adopted a resolution to appoint Szymon Midera to the position of the Chairman of the Management Board of the Bank. The resolution will come into force on the day following the day when the Polish Financial Supervision Authority approves appointing Szymon Midera to this position. On 12 February 2015, the Supervisory Board appointed Hubert Meronk a member of the Management Board for the ninth office term effective from 12 January 2015. In charge of strategic management, appointed to act as the Chairman of the Management Board in January 2015. Before, since July 2008, Deputy Chairman of the Board in charge of business and sales, marketing and treasury. For seven years with BRE Bank, among others as Director of Marketing and Business Development Office in mBank (2007-2008), and Deputy Director of Marketing and Investor Relations Department in BRE Bank (2005-2007). – Preparing a rebranding project for BRE Bank, designing and implementing a new corporate outlet. Graduated from Economics and Sociology Faculty of the University of Łódź. Completed Executive MBA in PAM Center delivered by Towson University and Robert H. Smith School Business with an MBA certificate of Towson University. In November 2013, the completed Advanced Management Programme at INSEAD (Fontainebleau, France). In charge of business support, i.e. IT, administration and logistics. Appointed the Management Board Member on 12 February 2015. He has over 15 years of international experience in advisory services, planning and management of IT services and in IT development. He graduated from Norwegian and North American universities and holds the grade of Master of Computer Science. For over 20 years he lived and worked in Norway and the U.S., implementing projects for companies in the U.S., Iceland, Norway and Sweden. In 1997-2000 with Cap Gemini Norway as Branch Director in Oslo, in charge of business and technology advisory management. In 2000- 2003 operated own advisory firm in Norway. Since 2003 in Poland, where he has dealt with implementation of strategic IT projects, large scale IT centralization and implementation of corporate architecture in the financial sector. As a Managing Director was in charge of IT and IT strategy in PKO BP, BOŚ Bank, LOT, T-Systems Polska. Since 2011 had its own advisory business providing services to CGI Polska, ABC Data, BPS TFI, PGE Dom Maklerski and PwC Polska. In charge of Finance and Risk. Working for the Bank since June 2009, initially as Managing Director of the Finance Function. In October 2009 appointed Management Board member. Before, for five years (2004-2009) had worked for Kredyt Bank, among others as Director of Financial Reporting Department, Director of Risk Management Department, and in 2008-2009 as an advisor to the Bank's CEO supervising strategic projects implemented for the Bank and the KBC Group in Poland. He commenced his professional career in 1998 with KPMG. Expert on financial risk management with several years of professional experience. – Implementing IFRS in banks and process solutions necessary to prepare financial statements in accordance with IFRS. Substantial experience gained both with an international bank and with consulting companies allow his efficient management of finance and risk during projects carried out by the Bank, evaluation of their potential to build the Bank's value and minimizing risk areas in the product offer addressed to a specific market segment represented by Bank Pocztowy’s client base. Graduate of Warsaw School of Economics, Finance and Banking Faculty. A holder of ACCA certificate. In charge of Business and Treasury. Appointed the Management Board Member in May 2014. Working for the Bank since September 2011, as Finance Function Managing Director. In the position, he was in charge of accounting, controlling and data warehouse, management of assets and liabilities, and for certain operations. – Selection and implementation of IT systems, in particular data warehouses. He graduated from Warsaw School of Economics, Finance and Banking Faculty; completed Post-graduate Studies on Bank Controlling by Warsaw Banking Institute. He holds a certificate of Financial Risk Manager granted by Global Association of Risk Professionals and ACCA certificate. The Management Board manages the Bank and represents it before third parties in the scope determined by the Code of Commercial Companies, the Bank’s By-laws and Operating Rules of the Management Board. Approves the Bank’s information policy. The Management Board operates pursuant to the Management Board Operating Rules developed by it and approved by the Supervisory Board. Chairman of the Board manages its operation. Its meeting are convened and chaired by the Chairman, and in his absence, the First Deputy Chairman. In the absence of the latter, a Board Member appointed pursuant to the order determined in a resolution of the Management Board. Resolutions of the Management Board are passed with an absolute majority of votes. In case of a tie, the Chairman has the deciding vote if present at the meeting. A resolution may be passed provided all the members of the Management Board have been properly informed about the planned meeting. Voting is open, and a secret voting may be applied with regard to personal issues of Management Board members. Meetings are held and minutes taken in Polish. If non-Polish speaking members participate in a meeting, a translator is provided. Minutes are signed by Management Board members present at a given meeting. Minutes are signed by Management Board members present at a given meeting. In 2014, 50 Management Board meetings were held devoted to implementation of strategy, focused on consumer banking and microenterprises, to include planned directions of development of the retail offer adjusted to the needs of the existing target group and to identified needs of new client segments, as well as to further development of product lines intended for microenterprises. The Management Board developed a new strategy of development for Bank Pocztowy S.A. for 2014-2017, updated the Financial Plan of the Bank for 2014 and approved the Financial Plan for 2015. Further, the Management Board undertook measures aimed at changing the operational structure of the Bank, optimization, process alignment and cost control. Following current changes in the Bank’s development directions, the Management Board, fulfilling its prudent and stable management obligations, participated in risk management in each operational area of the Bank. With regard to current banking issues, the Management Board monitored implementation of strategic projects and completion status of works adjusting the Bank to regulatory requirements related to IT management and banking security. Other issues analyzed by the Management Board included topics raised at Supervisory Board meetings and at General Shareholders’ Meetings, such as approval of the Management Board’s report on the activities of the Bank, Management Board’s report on the activities of the Capital Group, separate and consolidated financial statements for the prior financial year. Periodic reports regarding areas supervised by individual Management Board members as well as internal regulations whose implementation or amendment was necessitated by adjusting to internal regulations arising from management decisions regarding current operations of the Bank and competency changes in business areas related to organizational changes implemented in the Bank constituted another list of issues discussed by the Management Board at its meetings. IT Architecture Committee – since 12 May 2014. The committees operate based on internal regulations approved by the Management Board of the Bank. In principle, these regulations described tasks and competencies of a given committee. The Management Board Members are included in the following committees: Loan Committee, Assets and Liabilities Committee, Operational Risk Committee and IT Architecture Committee. In 2014, the total amount of the remuneration (calculated as the value of remuneration, bonuses and benefits received in cash, in kind or in any other form) paid to the members of Management Boar and Supervisory Board of the Bank and its subsidiaries amounted to PLN 5,258 thousand vs. PLN 4,788 in the prior year. The Management Board Members of Bank Pocztowy S.A. may receive annual bonuses pursuant to the Act on remunerating managers of certain entities of 3 March 2000 and Ordinance of the Minister of Administration and Digitalization of 15 October 2013 regarding annual bonuses for managers of certain entities. The above Ordinance determines detailed principles of granting the annual bonus to the individuals referred to in Article 2.1 to 2.4 of the Act on remunerating of managers of certain entities of 3 March 2000. The annual bonus for the Deputy Chairman and Members of the Management Board is granted by the competent body as determined in labor law regulations, i.e. by the Supervisory Board. Has obtained approval of its financial statements for the financial year if these financial statements are subject to such approval, or has submitted correctly prepared financial statements for the financial year. The annual bonus is payable to the entitled individuals only if they held the managerial position for the entire financial year and did not breach their obligations as employees during the period, whose employment or management contracts have not been terminated through their fault, who have not been dismissed from their positions for reasons justifying a contract termination without a notice through an employee’s fault. As at the date hereof, Management Board Members held no securities issued by the Bank.